This short sleeve overlayer is crafted with Reebok's premium Thermowarm Deltapeak double layer fabric. It's filled with polyester yarns for lightweight warmth. 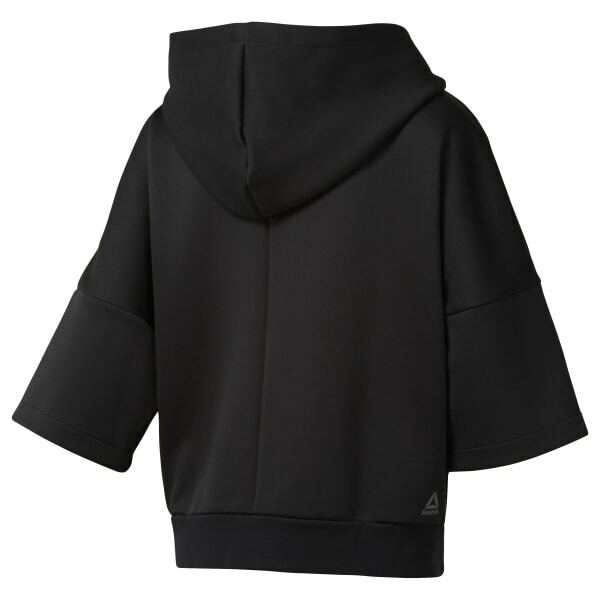 The fashion forward silhouette is designed with oversize dolman sleeves, open hand pockets and a bungee adjustable hood. Full zip design makes for easy on/off.